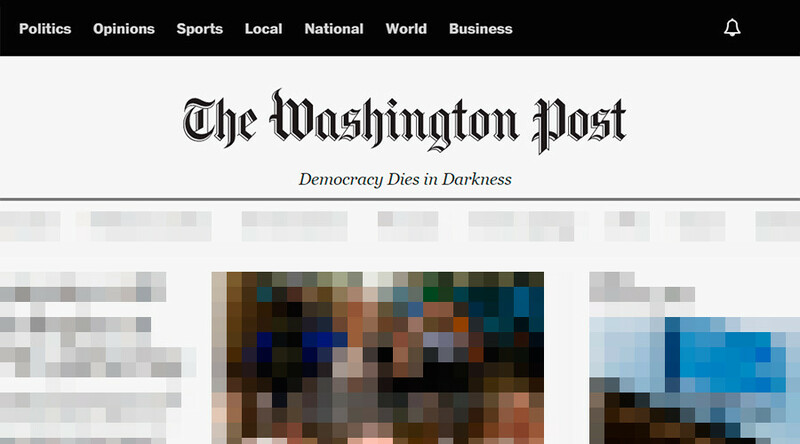 The Washington Post has been trolled on Twitter after unveiling a dramatic new masthead slogan proclaiming: ‘Democracy dies in darkness’. The slogan appears to be a retort to President Donald Trump’s attacks on the paper. It was first introduced to the publication’s Snapchat channel last week and now appears below the masthead on the digital edition. The phrase, which is synonymous with Washington Post associate editor Bob Woodward and his reporting on the Watergate scandal, was used by the Post’s owner, Amazon CEO Jeff Bezos, at an event last year. It will be rolled out among other WaPo platforms in the coming weeks, according to CNN. The bleak slogan however has been met by some with ridicule and cries of hypocrisy. 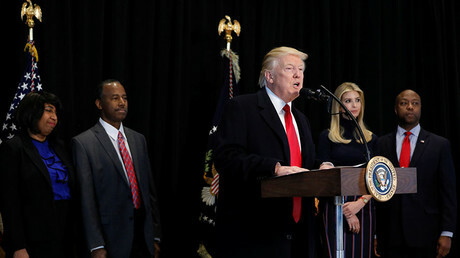 Alongside other MSM outlets, the organization has been engaged in a war of words with the president since he was sworn into office on January 20.